This is a write up that I’ve been meaning to do for awhile now. I actually played Gothitelle/Accelgor for the first St. Louis area City Championship, I was just a bit busy during that time to do a write up for the tournament then. As many probably know, Gothitelle/Accelgor was the deck that had won U.S. Nationals this past fall, before being shelved early in the season because of the lack of Gothitelle in the format. 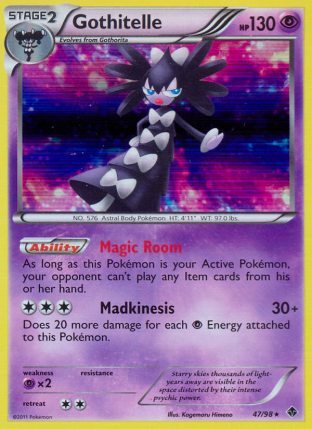 However, Gothitelle and her Magic Room Ability made its return in Legendary Treasures, and the deck was reborn. In an interesting corollary to last season, Klinklang won U.S. Nationals, didn’t see much play in the Fall, and then made its return as a competitive deck during City Championships. This is one of the strongest strategies in the game, an eternal lock that you’re opponent cannot escape. You continuously paralyze your opponent so they can’t attack, move the damage with Dusknoir to take perfect knockouts, and then lock them from Switching with Gothitelle’s Item lock. However, since Nationals, there have been some major changes in the format, some good, but mostly bad ones that hurt the deck’s viability. Let’s start with the good ones…or the good one should I say. 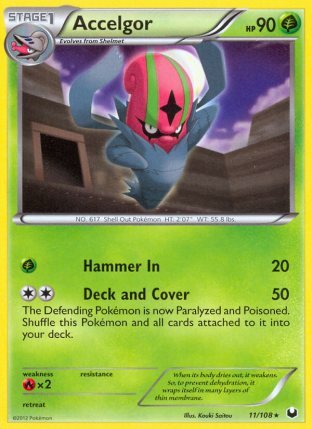 The deck has gained access to Silver Bangle, which allows you to OHKO a Keldeo EX after the poison damage when you use Deck and Cover with Accelgor. This makes the deck’s matchup against Blastoise fantastic, as Black Kyurem EX isn’t sustainable when they don’t have access to Superior Energy Retrieval, and any time they’re left with Keldeo EX Active, you can severely punish them. The deck has lost access to Pokemon Catcher, which makes it more difficult to deal with a teched Keldeo EX in things like Darkrai, but this isn’t too much of an issue as there are other solutions around this problem which I’ll cover in a bit. 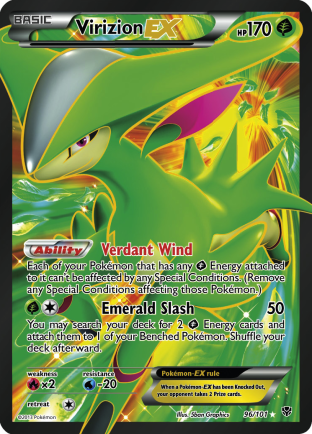 The biggest problem for the deck is a set of Grass Pokemon we got in Plasma Blast. Virizion EX shuts off Status Conditions for all Pokemon with a Grass Energy attached, which shuts off the Paralysis lock. Genesect EX’s Red Signal provides a reliable gust effect under Item lock, giving decks an option to break the Item lock. Lastly, there is the Snorlax Block issue. This deck functions on being able to retreat Gothitelle every turn, but if they can Block Gothitelle Active (or even things like Duskull or Dusknoir) the entire attacking function of the deck gets shutdown. 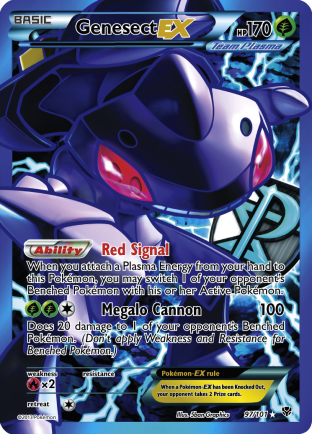 With the Plasma/Lugia/Snorlax decks also playing Genesect EX for Red Signal, they can choose to bring something like your Dusknoir up and lock you for game an play for a tie at minimum, but in a top cut situation, they can literally draw/pass for the entirety of the match and then just take one knockout to win. I’ve heard stories of this happening in cuts at City Championships this season already, so it isn’t like this isn’t a strategy that won’t be employed against you. Now, with all that in mind I still chose to play it for my first City Championship in St. Louis. The format was still pretty new, and Virizion EX/Genesect EX decks were still just a small sliver of the meta game and the Plasma with Snorlax and Genesect wasn’t really a thing yet. I’m going to provide my first two deck lists for this deck. The first is my base Gothitelle/Accelgor list, and the second is how I chose to tech the deck for the City Championship I played it in. Now this list is just aimed at consistency of strategy. It’s very similar to the list Sam Liggett used at the National Championships for 3rd place as a result. I mostly built the core list off of his, before making changes to adjust for the new format. The one thing I want to highlight with this list is the 3-3 Accelgor line, 2 Max Potion, and 2 Silver Bangle. 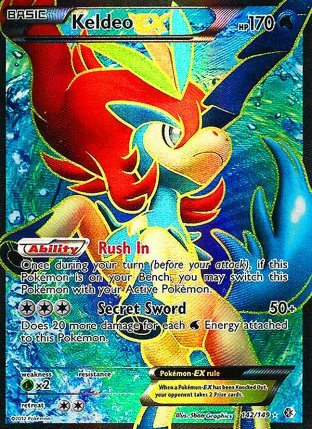 The main reason for including these in the deck is to deal with things like teched Keldeo EX or Virizion EX in decks like Hydreigon or Darkrai decks. 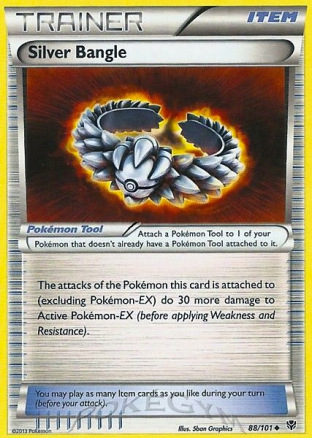 With Silver Bangle, you are able to put more damage on fast against these decks, and the thicker Accelgor lines makes it easier to continuously use Accelgor for Deck and Cover. The Max Potions give you healing options for your Gothitelle during the turns that your opponent is free from the status lock. Once you have your 170 damage on board, just move it over with Sinister Hand to knock out the teched Keldeo EX or Virizion EX. This has tested fantastically for me in dealing with those techs in those decks. Now, I chose to tech out my deck for the City Championship I was playing in. I think there were 3 Virizion decks total out of 20 players, and I knew at least one of those players had a great shot of making cut, so I didn’t want to be left helpless if I were to run into them in cut. I would have been fine playing one in Swiss, just because with that few in the field, the probability of playing more than one is low, and a 4-1 record would get you into cut. I hadn’t tested this concept yet, but the theory behind it was to turn the deck into an Accelgor/Garbodor deck when playing against Virizion EX/Genesect EX decks. For this tournament, we had 20 Masters for 5 rounds and a Top 4 cut. This won’t be the most in depth tournament report, because games just really come down to I locked them, or I didn’t lock them, and there isn’t much to say outside of that. I’ll just go over some highlights of the particular matchups. This was a fairly easy matchup. He got a turn 2 Absol for some early pressure, but once I established the lock there was nothing he could do and it was a fairly easy win. This is probably a matchup that I should win most of the time. In this one however, I was a little slow to setup, and whiffed turns of Deck and Cover which broke the lock from time to time. In addition, he had Audino, which freed him from the lock. I had the Item lock broken at one point in the game, where he was able to use Super Rod to get back Audino and use it twice. Ultimately, we would end in a tie, I was a couple turns of Deck and Cover away from winning, but the double Audino play bought him enough time to disrupt my lock to draw it out to a tie. I think even with Audino, this is still massively in your favor, and I would have won if we had a few more times just because there was nothing else he could do to break the lock. This is about as easy of a matchup as you can get. It doesn’t provide early pressure, and it has nothing to disrupt your lock. Additionally, he played Frozen City, which just added more damage for me to play around with with Sinister Hand. I got Gothitelle before he got Reuiniclus, so he couldn’t play around moving the damage to intentionally knock out his guys, and even if he did I think the matchup is still heavily in your favor. This was a pretty straight forward game. I just locked him the entire time, and he couldn’t get his Keldeo EX into play. I thought he might have prized it, but it was in deck the entire time. He drew out his entire deck, and the Keldeo EX ended up being the bottom card in the deck. I had the techs to beat a teched Keldeo EX, but that just made it all the easier. This is a pretty good matchup to play in for cut with. They will usually only be able to get out one Empoleon in most games, if any. You perfect lock Empoleon since it has 140 HP, even without Dusknoir in play. Leafeon does 0 damage with Energy Crush since you don’t keep a Double Colorless in hand. I think I 6-0’d this game as a result. I ended up headed into cut as the 2nd seed, as the Flareon deck I played in round 2 ended up with slightly better resistance with the same record. Well, couldn’t avoid it forever. Not the matchup I wanted to see, but it was time to test if the Garbodor tech would work. In the first game, he completely wrecked me. He didn’t miss a beat in getting Tool Scrapper, Switch, and what not when he needed it. In the second game, I got a substantially larger amount of damage out with bangled Deck and Covers. I had an out to win this game, after he Scrappered my Garbodor, if I could get Dusknoir out and Deck and Cover, I could take a double knockout on his Genesect EX and Lugia, leaving me two Deck and Covers away from winning the game. Unfortunately, I think I whiffed both Dusknoir and the Deck and Cover and then Lugia EX ate me alive. Garbodor isn’t the savior we were looking for. It probably turns a 99/1 matchup into a 90/10 matchup, which isn’t worth the space. I ended the tournament in third place. The Virizion deck that beat me ended up beating the Flareon deck in the finals. Now, it became clear to me that Garbodor isn’t our solution to the Virizion EX/Genesect EX matchup. There was another idea I had tested with to try to combat Virizion EX/Genesect EX, and this one might work better. That idea is to play a 3-3 Flareon line in the deck. 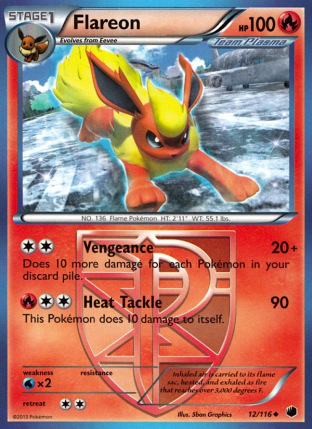 You can Deck and Cover early, before transitioning into a Vengeance attack with Flareon. As you already play a ton of Pokemon, the deck transitions nicely into a Flareon deck as you have plenty of Pokemon to discard. I think that it gives you a much better shot in the matchup, but it’s still not a complete savior against something like Lugia EX that can quickly end the game against you, which has been gaining more and more popularity in Genesect. 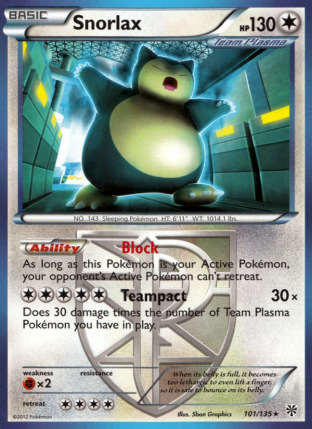 Lastly, there is also the issue of the Plasma/Snorlax variants and their Block Ability. I have messed around with two different techs to try to address. The first is just a simple single copy of Escape Rope. The idea is to Escape Rope once, Deck and Cover, and then hopefully use any damage you get from that to clear their field of Snorlax, and then continue a normal lock. 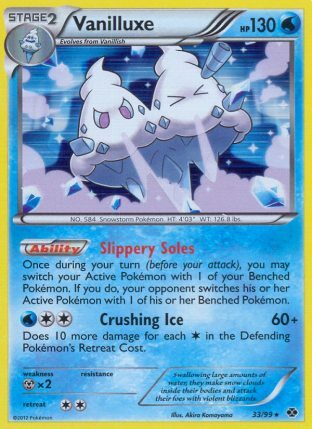 The other idea, which gives you more Switching effect throughout the game is a 1-0-1 Vanilluxe NXD line. Its Slippery Soles Ability acts as a contionus Escape Rope throughout the game. It of course comes with the problem of being just a thin tech line in which pieces might be prized, and since it’s a Stage 2 it can be difficult to get out. Overall, I think Gothitelle/Accelgor is a deck that you just have to drop from consideration of playing headed into Regional Championships. As is the case with most big tournaments, the meta game should consolidate more towards the top decks. Right now, Virizion/Genesect, Plasma/Lugia/Snorlax, and Darkrai/Garbodor are the top 3 decks in the format. This deck has issues with two of those decks, which could lead to a bad day if you choose to play Gothitelle. Additionally, it must be kept in mind that if you actively tech to try to beat those matchups, you will weaken some of your stronger matchups and push them closer to 50/50. And making a dual Stage 2 with a Stage 1 deck less consistent (and possibly adding a third Stage 2) can lead to you just not setting up. Deck is good, and should always be kept for consideration in a meta game where Grass doesn’t see much play, but for Regional Championships, I don’t think it’ll be a good play.